When it comes to budgeting you’ve probably got all the main areas covered. You know to budget for things like rent, groceries, car and student loan payments, and entertainment. But we all know there are those little budget busters that you didn’t even think of putting into your budget. Here are five unexpected things to include in your budget. 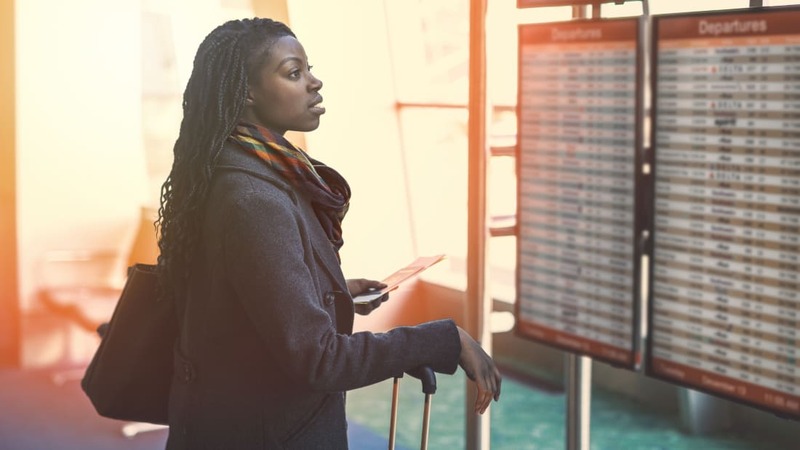 You probably budget for your next vacation to paradise, but you’re probably not budgeting for unexpected travel that seems to pop up throughout the year. When summer rolls around, you may have a lot of weddings to attend that require travel. It would be a shame to say no to attending a wedding because you didn’t budget for it, so plan ahead. There are also times when emergencies pop up. A family member gets sick, and you’re on the next flight out of town to care for them. While they are unexpected events, we should anticipate that they happen and add a line item in your budget for unforeseen travel. By accounting for this travel early, if your best friend is getting married or a loved one is ill you can be there without having to deal with financial worry. You can be rolling along within your budget when unexpected gift expenses come up. One month it’s your friend’s birthday dinner. Another month it’s your anniversary. One month it’s white elephant gifts for a gift swap at work, and the next month it’s your niece’s birthday. Then summer wedding season kicks into high gear. These expenses are likely to happen every year in some way, yet many of us don’t actually budget for them. To factor gifts and parties into your budget, think about birthdays, anniversaries, and holidays. How many gifts do you typically buy each year? How frequently do you get invited to birthday dinners? Estimate how much you spend and add that to the budget. If you think the budget for gifts is too high, come up with a reasonable number that you’re willing to pay on each gift. That calculation can help you set a standard so that you don’t overspend when you go shopping and can make the whole process easier. When it comes to your car, you’ve probably budgeted for payments, gas, and insurance premiums. But have you budgeted for vehicle registration, repairs, new tires, and other expenses? Your car likely needs regular maintenance, and your vehicle registration must be renewed periodically. It’s easy to forget about these recurring costs because they aren’t monthly expenses. They seem to come out of nowhere when you get the bill, but you can forecast for them. Budgeting for unexpected items is all about anticipating what all of your expenses will be throughout the year—especially the irregular ones. As the seasons change, you might start paying for things that aren’t accounted for in your budget. In the fall, you might pay for leaf disposal while in the winter you might pay for snow shoveling. In the spring, you may need to hire landscaping help, or you might have to start stocking up on allergy medicine while everything is in bloom. When summer hits, you might pay pool entrance fees, beach parking fees, and more. Think about the various seasons where you live and how they could affect your budget. Adding these costs back to your budget can help you prepare for the season ahead. Even if you’re the picture of health, it makes sense to budget for unexpected healthcare expenses. If you or a loved one comes down with a sudden illness or suffers injuries in an accident, you’ll want to be prepared to shoulder any costs that pop up. Prescriptions, copays, and deductibles can add up quickly even if you have health insurance, so leaving yourself a cushion in your budget to cover these expenses is a smart proactive step. If you’re a pet owner, it’s worth setting aside a bit of money to cover your furry friend’s care, too—veterinary bills can be steep. Dealing with a medical issue is never easy, but at least you won’t have to worry about money at the same time. When the unexpected comes up, it helps to have some extra money in your budget. The right credit card can help. With Discover, we will automatically match all the cashback you’ve earned at the end of your first year as a cardmember. Terms apply. Learn more at Discover.com.